Sometimes I feel like the Play Store will never evolve from providing these short, simple games that offer very basic gameplay, no progression, no story and almost null replay value. But then I encounter games as Star Knight and my hopes return. If more games were like Star Knight and less like these short attention span kind of games, then the world would be a better place. Seriously, Star Knight provides gameplay and progression like very few games in the Play Store, and manages to keep you coming back for more with elements such as unlockables and intricate level design. A very curious (and I might say unfortunate) thing happens when opening the app: it asks you for a total of six permissions. I mean, it’s hard (though possible) to develop apps that don’t require permissions. The problem is, why does Star Knight asks me for permission to access my contacts and my location? There’s absolutely no functions in the game that might require this. Draw your own conclusions. After this sketchy episode, you’re greeted with a Google Play Games setup, as is the case with an increasing number of games in the Play Store. 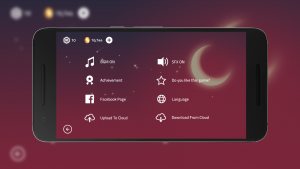 Star Knight uses it as a platform for setting up achievements, save files, and similar. If you play games regularly, you know the drill by now: select a Google account and our Android overlords will do the rest. Gameplay is really fun and provides new elements all the time. The game starts with a couple of lines of story and then kicks you right into the game. Your character starts the journey alongside his significant other. However, the boss at the end of the level deals with this quickly (and sadly for the main character). 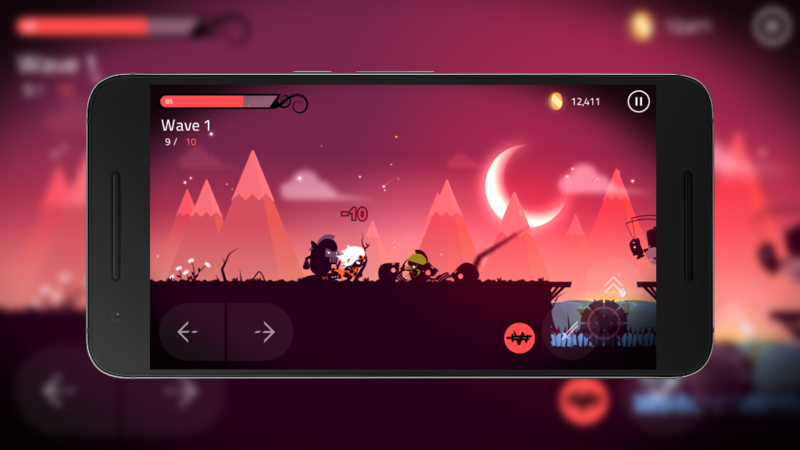 You have four on-screen buttons at first: left, right, jump, and attack. Since a couple of taps and a little bit of curiosity is enough to figure out the controls, there’s no tutorial or anything similar. The game is simple: kill your enemies, avoid the multiple obstacles, reach the end of the level, rinse and repeat. There are five different worlds, each one divided into 12 different levels. 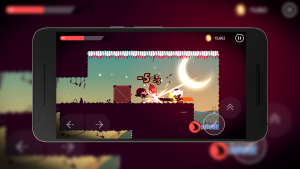 The levels start simple enough, with normal platforms and enemies to kill. However, you will quickly see that Star Knight will start throwing at you walls with spikes, rotating objects with spikes, grounds with spikes and other spiky paraphernalia that will halt your progress. Apart from spikes, puzzles get more complicated and enemies get stronger as you advance in the game. Fortunately, you can get stronger, too. Your journey will take you into different situations where you will find objects from your significant other. This will increase your total health bar. Also, you can get runes, which are white, hexagonal elements that you have to collect in order to get skills. These skills vary between them, from Super Smash, which does a strong attack, to Shield, which creates a shield around your character for four seconds. Some skills cannot be obtained from runes, though. This is where the concept of coins becomes important. When you kill enemies, you will get coins. They are used to buy additional swords for your character and skills that are not unlockable by runes. 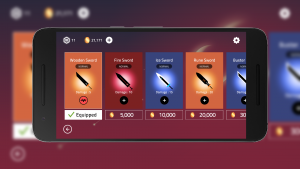 If you lack the required coins and you need that shiny new sword right now, then you can buy coins through in-app purchases. Level design in Star Knight is outstanding. Of course, none of these elements would be useful if the gameplay was boring. Fortunately, it’s not. 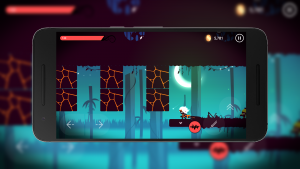 Star Knight combines different elements in a very imaginative, fun way. For example, there are walls that you can climb (Super Mario-like), crates that you can pile up to make you reach the unreachable, springs in the ground, switches to unblock/block certain areas, platforms that crumble and regenerate after time, bombs, among others. This provides gameplay that varies all the time and never gets boring. All of these collectibles, progress elements, and hike in difficulty makes the game very fun and keep you coming back to see which kind of obstacles the game will throw at you next. Also, the fact that you can collect stuff adds to the replay value. You can actually experience that feeling of progression that is so hard to find in the Play Store these days. Controls also feel very responsive. You never get the impression of being hindered by them. I would love to see a vibration setting, though. I just can’t get used to tapping buttons on a game without receiving any kind of tangible feedback. That’s not a problem with the game, however. The controls are awesome, their placement is adequate and their responsiveness is outstanding. There’s an additional mode called Arena, in which your character is dropped in a monster-filled stage and you have to kill tiers of monsters in order to advance. It’s a really fun way of distracting from the main gameplay, and it’s also the most efficient way of getting gold for those prohibitively expensive swords available. The arena provides a nice challenge and is a great addition to the main story. Be warned though: either I’m really bad at this game, or the arena is a pretty hard endeavor. It could be both, too. Anyways, be ready for the taste of frustration, especially at the beginning when you have a weak sword that can’t even cut through butter. The artwork for this game is primarily black. Depending on the setting, the color palette may change a bit. 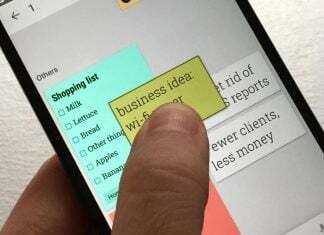 Normally, though, these colors tend to be dark, so don’t expect colorful, flashy graphics. This isn’t meant in a bad way, however: the game is really nice to look at, and the artwork is very consistent across different elements, making the game feel cohesive. Also, apart from the main character, which has very subtle but nice elements, the other sprites are normally only mildly detailed. Again, this is not supposed to be a bad thing, it’s just so you can adjust your expectations. Monsters and other elements look good with the elements that the designers have decided to incorporate. The backgrounds always look nice, and the combination of colors make up for some interesting sights. Just don’t expect highly detailed sprites and you’ll be fine. You can get stronger by buying new swords. The songs that play in the background during gameplay are soothing melodies that don’t get old fast (or at least it takes a lot of time for you to get tired of it). A good thing about them is that they change according to the place you’re at. Each world has its own track, as well as the arena and the main menu. Sound effects accomplish their objectives without being spectacular. Several actions trigger a sound effect, such as swinging your sword, slashing other enemies, and dying. They’re nothing special but they get the job done. There aren’t many options you can change, but the ones that are present are enough. You can turn on or off both the background music and the special effects. There’s also a way of changing the language of the interface (16 languages available), which is nice, and something games fail to do most of the time. Another noteworthy option doesn’t appear in the options screen, but in the pause screen: the ability to record your gameplay. If you want to upload your prowess to YouTube, you can record it with this option. It’s nice that the developer took the time to implement these kind of stuff that other games don’t provide. There are not many options to choose from, but Google Play Games is integrated. There are 18 different achievements to keep you entertained. They range from moderately easy (Kill Act 1 boss), to insanely hard (get three stars on all levels). There are some that deal with the memories of your beloved one, watching the ending, and even with dying (do it 1000 times and you’ll get an achievement). The game is supposed to let you upload your save file to the cloud, to be retrieved later on another device. Unfortunately, I couldn’t get it to work, no matter how hard I tried under different conditions. When I tried to upload a save file, a progress dialog appeared and then disappeared right after. It’s unfortunate, since it would be a big plus if the featured worked correctly. Maybe it’s a problem with my phone and not with the functionality itself, but I’m not certain. Star Knight manages to provide fun for hours, thanks to its intricate level design, and sense of progression. You can definitely feel how this game is much more refined and elaborate than the majority of games available in the Play Store. Yes, a lot of the games in the store are normally free, and, for many different reasons, a paid app is a barrier to a lot of people. But, if you normally spend your money on apps, then for a mere $0.99 (€0.92 in Europe) you can get a highly polished game that will bring you joy and fun for a long time. Download Star Knight from the Google Play Store. 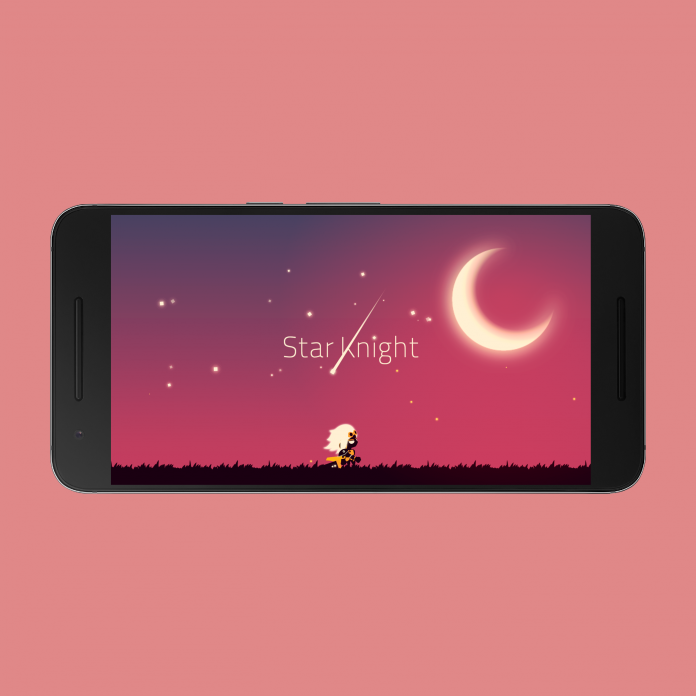 Unlike the vasy majority of games in the Play Store, Star Knight manages to provide a compelling experience, thanks to a satisfying sense of progression, lot of unlockables and outstanding gameplay. For $1 you can get a game that will keep you entertained for a long time.